Preheat broiler. Finely grate enough peel from grapefruit to measure 2 tablespoons. In a small bowl, mix parsley, garlic and grapefruit peel. Cut a thin slice from the top and bottom of each grapefruit; stand grapefruit upright on a cutting board. With a knife, cut off peel and outer membrane from grapefruit. Cut along the membrane of each segment to remove fruit. Arrange sections in a single layer on one half of a foil-lined 15x10x1-in. baking pan. Sprinkle with 1 tablespoon brown sugar. Place salmon on remaining half of pan. Mix cumin seeds, salt, pepper and remaining brown sugar; sprinkle over salmon. Broil 3-4 in. from heat 8-10 minutes or until fish just begins to flake easily with a fork and grapefruit is lightly browned. 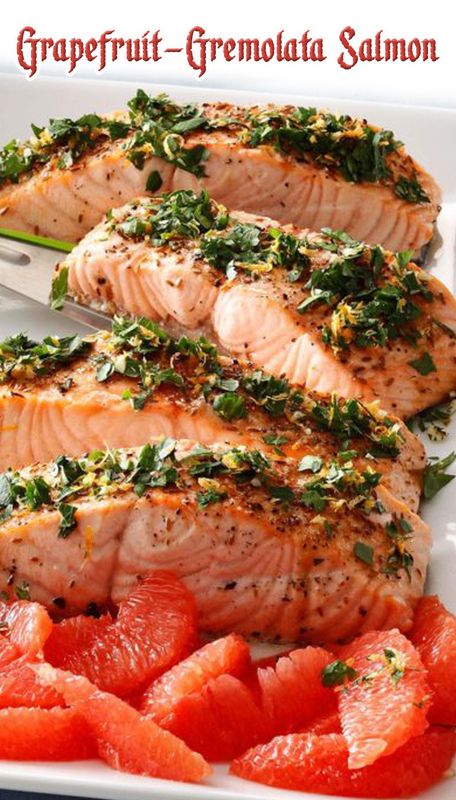 Sprinkle salmon with parsley mixture; serve with grapefruit.